One of the things I always find breathtaking are the waterfalls in the US. Wait. Scratch that, across the world. I have made it a point to stop at as many as possible, even the smaller ones. I think it all started when I was about 7 or 8 when my grandparents took me to see Niagara Falls. We spend several days in the area but an entire day at the falls. I remember watching my grandfather on the overlook just staring at the falls. He didn’t say it much then but I realized that day how truly amazing they are. We had lunch by the falls and took pictures near both the American and Candian Falls. In August 2016 on the 10 year anniversary of my grandfathers passing we spent the day at Niagara Falls as a family. We watch the falls, took the bus tour, ate lunch right next to falls, got soaked by the Candian Falls and just spent the day in wonder. I think it was the perfect way to honor him. 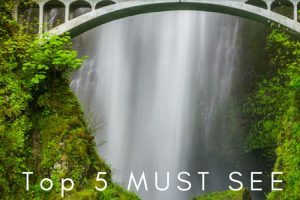 I fully believe that Niagara Falls is the most beautiful waterfall I have seen in my whole life and they may be the best waterfalls in the US but below I want to share 5 others that should on your list as well! 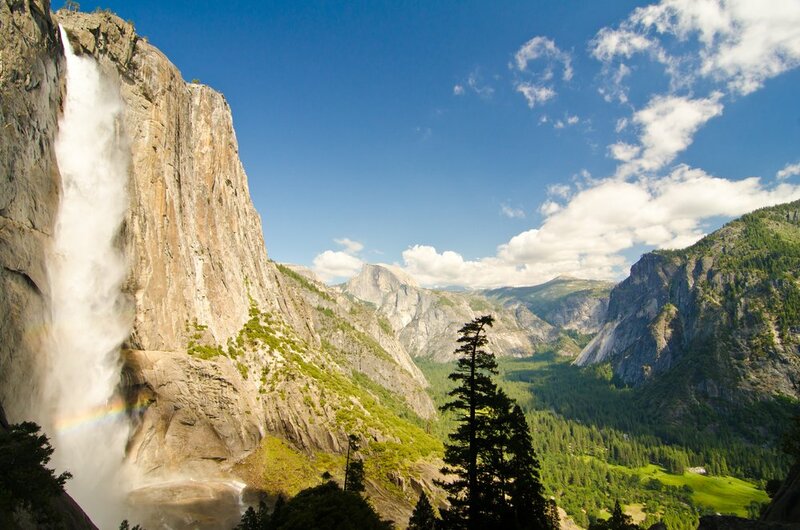 Located in Yosemite National Park is one of the world’s tallest waterfall that is made up of three separate waterfalls to include Upper Yosemite Fall (1,430 feet), the Middle Cascades (675 feet), and the Lower Yosemite Fall (320 feet). What is great about Yosemite Falls is you can take a one-mile loop hike to the base of Lower Yosemite Falls and take pics with the waterfall crashing behind you. If you are a more avid hiker, head up to the Upper Falls to be able to see the falls in all of their glory. 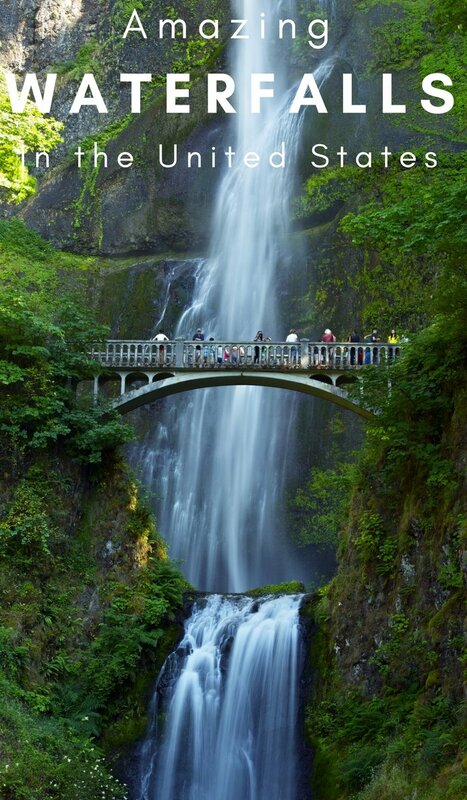 Just 45 minutes to the east of Portland you will find the amazingly beautiful Multnomah Falls. These falls might be shorter at 627 feet, but with the surrounding greenery and flowers, it is a really extraordinary spot. You can stay at the base of the falls, or hike up to two different platforms. It is steep, so make sure to have adequate water and good hiking boots. At the top, you can view the falls cascading down and then take the path to the left to hang out at a moss-covered bridge. Next time you are in Pennsylvania, make a side trip to the Bushkill Falls in the Pocono Mountains. These are private land and you must pay an admission fee, but they are well worth it. 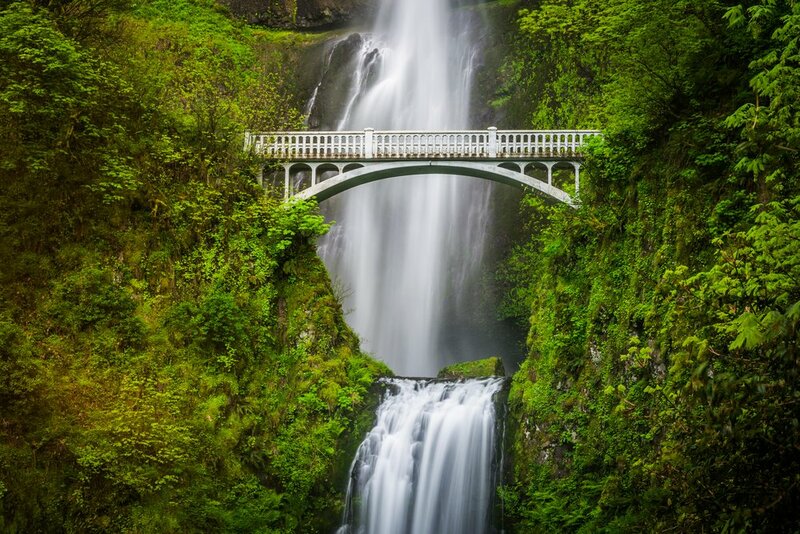 It is eight waterfalls nestled back in the woods that have hiking trails and wooden bridges tying them all together. In June stop what you are doing and get to Glacier National Park in Montana. When they open the Going-to-the-Sun Road for the season, you should be on it. This is the only road that traverses the park and winds up into the mountains. What is spectacular about this drive is that there are well over 100 waterfalls during this couple hour drive! Tall, impressive waterfalls and others that pop out of nowhere in the rocks to others that you can drive your car directly under! Definitely, an a must go to place to see waterfalls! 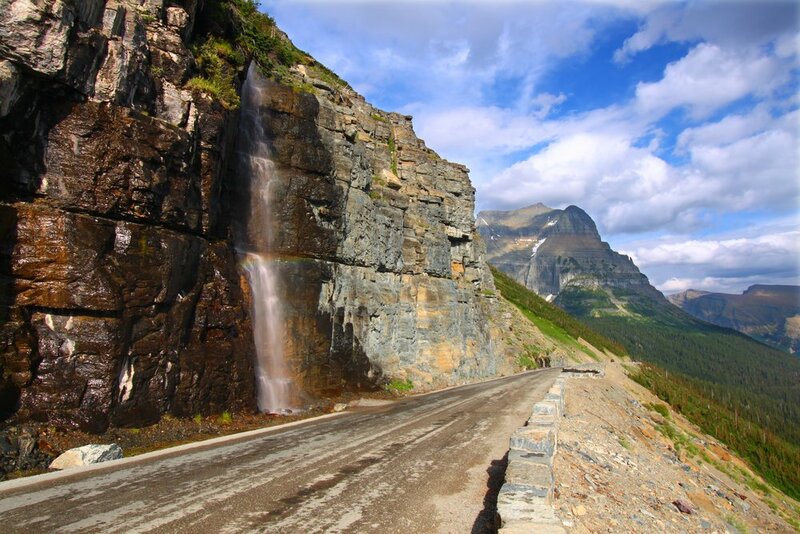 Waterfall flows down from the mountains onto the Going To The Sun Road in Glacier National Park – Montana. Early in the day, enjoy a short hike back to Mingo Falls. This is a 120-foot waterfall that is surrounded by pretty flowers and mountains. It is easy to get to and great for the whole family to enjoy. What have been some of your favorite waterfalls in the US that you have seen? Let me know in the comments below I’d love to add them to my bucket list!